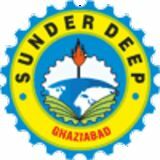 SUNDER DEEP COLLEGE OF MANAGEMENT TECHNOLOGY Sunderdeep College of Management Technology Ghaziabad provides outstanding management education, based on experiential learning, emphasizing values, leadership skills and decision-making abilities among the students. BBA, BCA, B.Com, BTC programs focus on different concentrations and are designed from international perspectives to prepare the students for the highly competitive business scenario. and enroll in our BBA, BCA, B.Com, MBA, and PGDM courses. We assure each student the very best of education and a most rewarding time at Sunder Deep College of Management Technology.